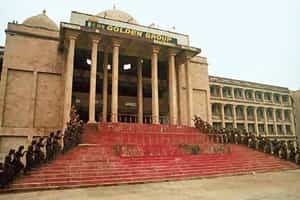 New Delhi: The Supreme Court on Wednesday asked a committee appointed by it to take possession of the assets of Golden Forests (India) Ltd, or GFIL, and sell it to pay off its investors. It also said that any sale by justice R.N. Agarwal-headed committee would be subject to the confirmation of the court. GFIL started its business of developing agricultural land and social forestry farms, among others, in 1987. It also launched several schemes for its investors, who since 1997, have filed several petitions in courts with the hope of getting their money back after the company went bust. As per court records, GFIL owes around Rs2,000 crore to some 1.7 million investors. In 1997, after GFIL refused to register itself under the collective investment schemes of Securities and Exchange Board of India, or Sebi , the market regulator approached the Bombay high court asking for orders to restrain the company from carrying on its business without registering itself under the Sebi (collective investment schemes) regulations. In 2003, all petitions were transferred to the Supreme Court. The apex court constituted a panel, headed by a retired judge of the Delhi high court, R.N. Agarwal, in 2004, to invite and receive claims of GFIL’s investors and depositors, valuate GFIL’s properties and submit a report after scrutinizing claims and assets. A bench headed by Chief Justice of India K.G. Balakrishnan asked the committee to periodically submit details of the sale of GFIL properties and posted the matter for hearing in March. Mumbai:Omaxe Ltd, the third worst performer in the Bombay Stock Exchange’s Realty Index this year, fell the most in three days as Fitch Ratings cut the company’s debt rating and outlook on concern over its access to funding. The New Delhi-based developer dropped 7% to Rs81.15 at the close of Mumbai trading. The stock has declined 30% over the past month and is down 86% this year. Omaxe’s long-term rating was reduced one grade to A- and the outlook was cut to negative from stable, Fitch said in a statement, citing the company’s high debt level and liquidity risks. A- is four grades above non-investment grade, or junk. Indian property purchases have slowed as prices surged and borrowing costs rose to a seven-year high. Finance minister P. Chidambaram said on Wednesday he is planning measures to increase cash in the financial system as the global credit crunch threatens to stall growth in the country. “The liquidity risk is accentuated by the slowdown in the overall real estate market and the increasing reluctance of financial institutions and banks to fund real-estate developers," Fitch analysts Sandeep Mulik and Abhinav Goel said in the note. Omaxe could face a shortage of funds due to loan repayments of Rs650 crore and a pending payment of Rs170 crore for land during the year to March, the credit assessor said. “The rating cut was not unexpected because the entire real-estate sector is facing a shortage of liquidity," Vipin Aggarwal, an executive director at Omaxe, said over the telephone from New Delhi. “We have no problem repaying our loans." Mumbai: In a further sign of the downturn in the real estate sector, two plots in Wadala, central Mumbai, didn’t receive any bid in an auction on Wednesday. The two plots, measuring 7,029 sq. m and 4,034 sq. m, are earmarked for a commercial complex and a multiplex and belong to the Mumbai Metropolitan Region Development Authority (MMRDA) which has put them on the block for long-term lease to private firms. MMRDA had hoped to draw top developers and companies for the bid as the plots are well-connected by rail and road. The base price for the commercial plot was Rs240 crore and Rs135 crore for the movie theatre complex. The successful bidder would have a free hand to design, finance, built and operate the commercial and movie multiplex plots, said officials. London/Singapore: Commodity shipping rates plunged to the lowest in more than five years as a lack of trade finance left cargoes stranded and the global economic slowdown limited raw material demand. Traders are finding it harder to get letters of credit that guarantee payments for goods, shipping executives said. Together with a slowdown in trade, that has contributed to this year’s 82% drop in shipping costs for grain, coal and other commodities. Rates are so low that Zodiac Maritime Agencies Ltd, the line managed by Israel’s billionaire Ofer family, announced on Wednesday it may idle 20 of its largest ships. “Letters of credit and the credit lines for trade currently are frozen," Khalid Hashim, managing director of Precious Shipping Plc., Thailand’s second largest shipping company, said in Singapore on Tuesday. “Nothing is moving because the trader doesn’t want to take the risk of putting cargo on the boat and finding that nobody can pay." The Baltic Dry Index fell 11% on Wednesday to 1,615, the lowest since February 2003. Rates for larger ships of the type Zodiac intends to idle fell 17%, taking this year’s plunge to 85%, according to the London-based Baltic Exchange.